With all the wearable fitness technology available at the moment, your wrist can tell you a lot about your fitness and health. The choice used to be as simple as which pedometer to use, but now you’ll be inundated with multipurpose fitness trackers whenever you walk into the shops. There are smart watches, trackers for your fitness, wellness, simple ones, detailed ones, ones that ooze style, fancy colours, clip on ones, and all with varying price ranges. Finding out which one is the right choice depends on what you want it for. The iiNet team like to keep on the move, so we’ve put together a few suggestions for you to choose from to get the best insight into your health, your way. 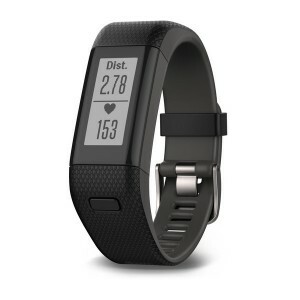 The Garmin Vivosmart HR+ allows you to monitor your heart rate around the clock with its Elevate™ wrist heart rate technology – no heart rate strap needed. The Vivosmart HR+ then takes your heart rate to let you know how many calories you have burned and even tells you the intensity you have been working at throughout the day. Whether you’re inside the gym or in the great outdoors, the GPS feature in the Vivosmart HR+ means you can track your distance, time and pace stats more accurately, making it perfect for long distance runners. Because progress is the aim, the Vivosmart HR+ takes your current activity level and assigns a daily step goal so you can improve every day! The Fitbit Charge 2 monitors your activity throughout the entire day, including when you exercise and when you sleep, to give you an understanding of your overall wellness. Thanks to its Cardio Fitness Level monitors, you can see your current fitness level and work towards improving over time. 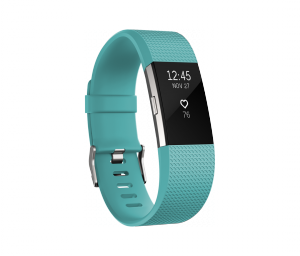 The Fitbit Charge 2 will move with you to track your steps, heart rate, distance, calories burned, active minutes, floors climbed, and hourly activity. 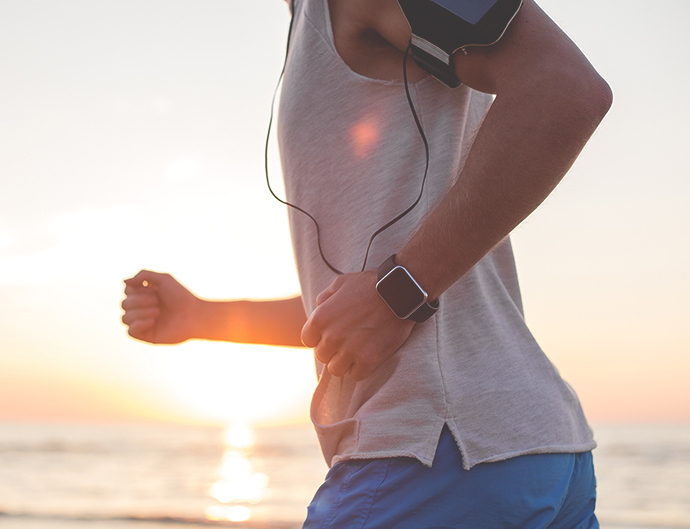 You can track different workouts like your evening run or gym session and see real time stats. It will even track how long you spend staying still throughout the day and will encourage you to keep moving if you get a bit too stationary! When you’re ready to relax, the Fitbit Charge 2 can take you through personalised breathing sessions depending on your heart rate. With a battery life of 5 days, you can use it all day and all night without recharging – in fact you can ensure you wake up refreshed and relaxed using the silent alarm to get you up and moving. As an added bonus, you don’t even have to choose which colour you like because the bands are interchangeable! Sync wirelessly with your computer and iOS, Android and Windows devices. 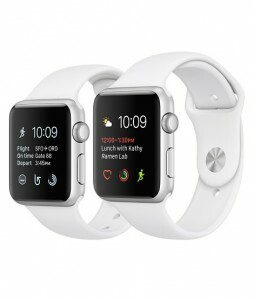 We’ve seen series 1 and now series 2 of the Apple Watch has arrived, bringing with it built-in GPS and GLONASS along with a few other awesome improvements. The Apple Watch series 2 is slim in design and comes with a number of options look-wise so you can let your personality shine. The style options aren’t the only feature – this watch is definitely smart! Not only does it show insights into your health and wellness; you can also stay organised and up-to-date all day long thanks to WiFi and Bluetooth connectivity. The best bit? You can use Apple Pay on the run – literally! Unfortunately this one isn’t available in Australia yet but its style definitely deserves a mention for those who are willing to wait! 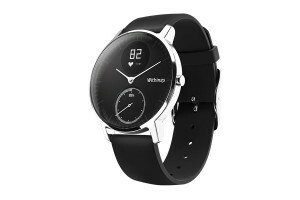 The Withings Steel HR watch oozes style and fashion and will definitely catch people’s eye. This watch has a sophisticated look that’s perfect for those who wake up and move from the gym to the office. Equipped with its very own personal assistant plus overall health and sleep monitoring with Health Mate, you can even link this watch to your smartphone so you can be connected all the time! For those who forget to charge their watch while they sleep, no worries – this baby has a massive battery life of 25 days! Did one of these catch your eye? Make sure you consider the operating system, battery life, fitness features, and of course the design and look that shows your unique flair when making your choice. What feature in a fitness tracker grabs your attention? Let us know in the comments. What is required is a blood pressure feature for older users.Heart rate is useful but not the only tool for measuring well being. Manufacturers have tried but no one has been successful in measuring blood pressure from a portable device. Erin I got an watch series 3 for Xmas 2017. Sadly I cannot add it’s phone calls to my mobile plan. This is why I bought it. To be able to make calls on the run without my phone!!!. Is iiNet going to be able to add this feature? Which I can get with Optus, Vodaphone and Telstra. However I do to want to change. I Have all my other services with iiNet. We don’t offer the feature at the moment, Margaret – However we’ll be sure to announce if it is on the cards in the future!